From Bayeux, take the D6 southeastwards for about 12 kilometres to Tilly-sur-Seulles. In the centre of the town, turn right (westwards) onto the D13. 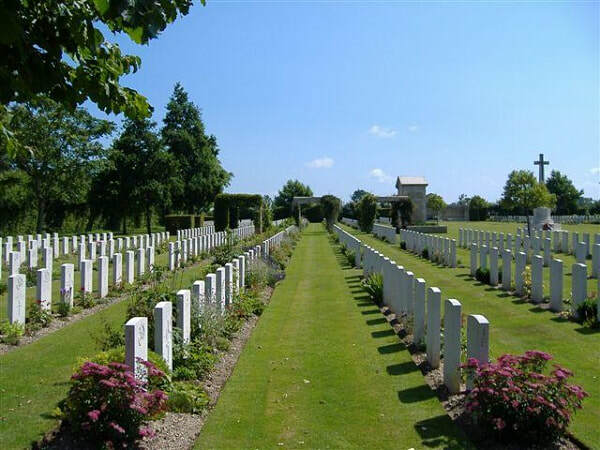 The cemetery will be found after about 1 kilometre on the left hand side. The Allied offensive in north-western Europe began with the Normandy landings of 6 June 1944. 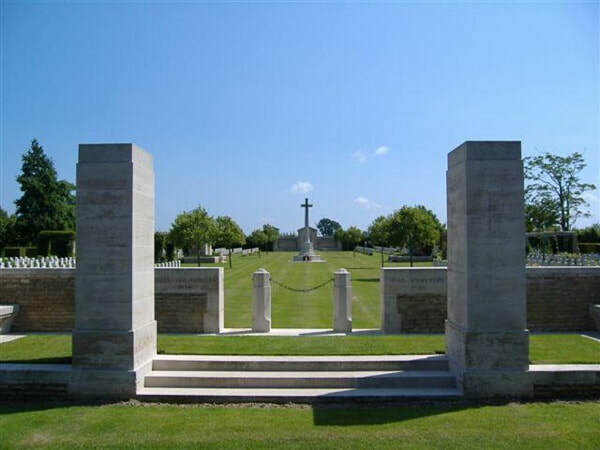 There was heavy and fluctuating fighting in the vicinity of Tilly-sur-Seulles immediately after the landings involving chiefly the 49th and 50th Divisions. Tilly itself was not captured until 18 June and fighting continued nearby until mid July. 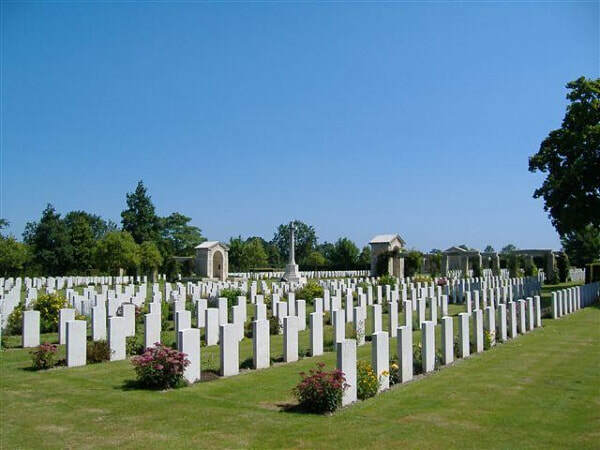 The cemetery contains 990 Commonwealth burials of the Second World War and 232 German graves. 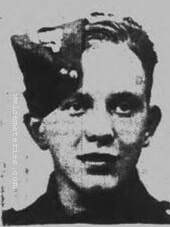 17th June 1944, aged 18. Son of James Henry and Elizabeth Barker, of Burnley, Lancashire. 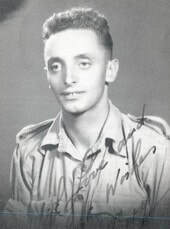 22nd June 1944, aged 26.